These days, most businesses are spending a lot of time and effort making sure that they’re marketing/advertising their selves efficiently and effectively in the online world but unfortunately, many tend to be neglecting the offline world somewhat. Sure, online advertising is an important part of the advertising process for just about any business, but it’s important that we don’t completely forget about the offline world as it still has a lot to offer. It doesn’t matter what industry you’re in or how big your company is, there is a lot that can be achieved through an effective offline printed advertising strategy. Plus, there’s a lot of different printed marketing methods you can use too; there’s flyers, custom stickers and tonnes more. It’s all about finding what fits in with your strategy the best. However, the problem is that a lot of businesses get their strategy wrong; or worse still, they don’t really have much of a strategy at all. Personally, I find it sad that so many businesses are neglecting this offline world. I can understand why it’s happening to some extent; I mean, the online world is easily to manage and can often be cheaper. However, there is so much online advertising these days that managing to make your way through the crowd can be a difficult process; this is where offline printed advertising comes in. In this article, I’ll be walking through some of the most important things to consider when setting up an offline printing advertising campaign. Hopefully by the end of this post, I’ll have inspired you to go out and explore this world with your business too. 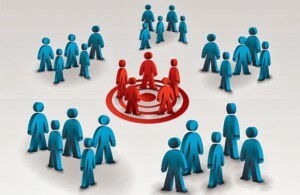 One of the most important things to establish when setting up any advertising campaign is exactly who you’ll be targeting and how you plan to do it. Chances are that as a business, you already know who your customer is. If you’re in the health/fitness industry, it might be primarily women aged 20 – 40. If you’re in the B2B services industry, it might simply be CEO’s, Directors and business owners. Once you know who your target market is, you need to figure out how you’re going to reach them in the offline world via your printed advertising campaign. Let’s assume that you’re targeting business owners as you’re in the B2B market; there are a few ways you could reach these people. You could use a direct mailing approach or you could even attend networking events with banners, flyers, business cards or leaflets. It’s really down to you and what you think works best for your particular business. Similarly, if you were targeting residents of a certain local area for a new gym that you’re opening, it might work perfectly well just to post a flyer through people’s doors within certain post/zip code areas. This is the first step when creating an effective offline printed marketing strategy. Once you know who your target audience is and the method you’re likely to use to reach them, you need to figure out which would be the best printed marketing material to use. For example, if you’re planning on utilizing a direct mail campaign to targeted individuals, you’re likely going to use a flyer or letter approach. This is because it will likely be mailed directly to the recipient. However, if you want to target a more broad audience (perhaps within a certain postcode area), you might want to opt for a flyer/leaflet approach. These can then be delivered directly through letterboxes using a distribution service. Plus, flyers/leaflets are going to be a lot cheaper than individually crafted letters. Sometimes, you might require multiple marketing materials. For example, if you’re planning on attending networking events, it might be wise to utilize a large PVC banner (to spark the initial interest) combined with a business card or flyer/leaflet that you give to them when you actually speak with them. There’s no exact science; it’s about knowing your customers and what makes them tick. When it comes to design, don’t scrimp! This is an extremely important part of the process but unfortunately, most businesses tend to neglect it a little. One thing you need to remember when it comes to the design and content creation stages is that you should ultimately be trying to get the potential customer/client to take a very particular action. For example, after receiving your business card, you might want them to give you a call. Or perhaps after receiving a direct mailed letter, you might want them to go to your website and download a free eBook. Whatever it is, you need to make sure that your message doesn’t get diluted. In order to achieve this, you need to make sure that you keep things simple. 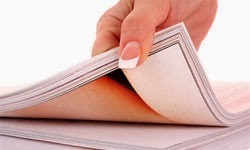 Make sure that whatever printed marketing material you choose, it has a clear call-to-action. If it doesn’t, you won’t receive as much custom as you’d like. Once you’ve got to this stage, it’s now time to execute your plan. There are a couple of extra things you might need to think about before you do though. For example, if you’re going to use a direct mail approach, you might want to consider exactly how to send the letter/leaflet/flyer. Would it impress your potential customers/clients more if your letter was sent via a special delivery service? What about if it was handwritten? These are all things to think about and likely things that will have a certain effect on your conversion rate too. Even if your plan is as simple as getting some business cards designed and printed, you still need to take the time to execute your plan well. Make sure to shop around for the best printing company and order samples of their products if they have them (they’re usually free). Also, take the time to shop around for a good designer. You don’t want to fork out all that money on the printing process if the design has no chance of converting to sales. Offline marketing really isn’t that difficult and if you get it right, it can have a much more positive effect than some online marketing tactics. Remember, it’s important that you don’t skip any part of the process when creating your offline campaign. If you fail to get the design right or fail to identify your target audience correctly, you’ll have a recipe for disaster (or at best, a recipe for a mediocre campaign that only just covers your costs).